I love this plant. Paphinia herrerae is one of a handful of orchids that I think of as the Fuqua Orchid Center's signature plants. It is perhaps my favorite among all of our orchids. 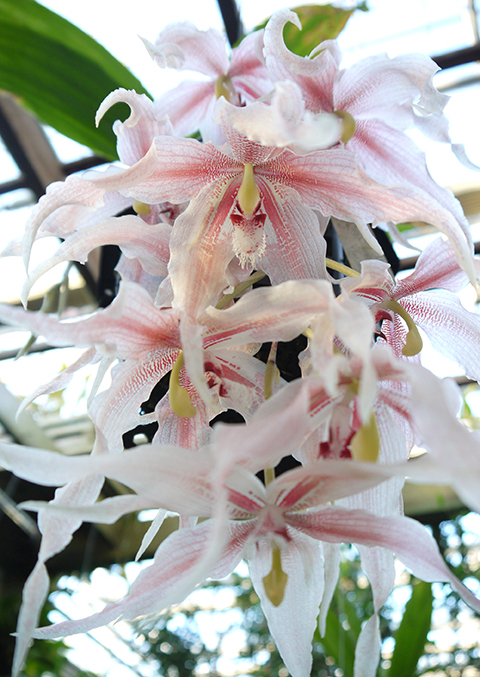 Paphinia herrerae is one of the Fuqua Orchid Center's most beautiful orchids. The flowers are pendant and best seen from below. It's hard to capture the shimmering translucent quality of Paphinia's petals and sepals. The margins of the petals are ever so slightly wavy--like a delicate handkerchief. Absolutely breathtaking. 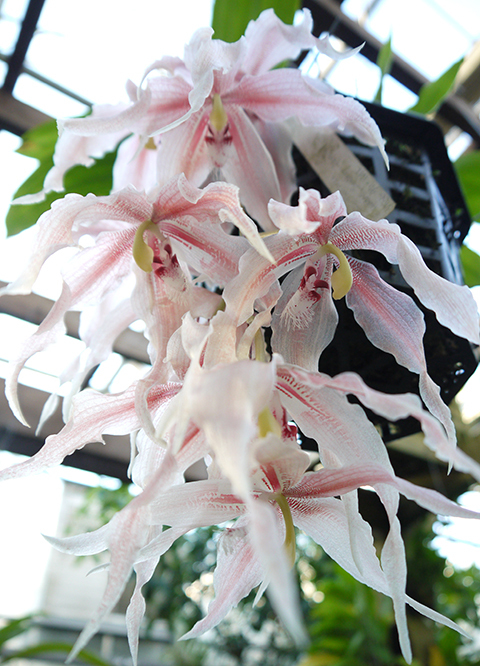 We obtained our first plant in 1990 and subsequently propagated it by seed in the Atlanta Botanical Garden's laboratory. The resulting seedlings were an astonishing mixture of plants with pure white, rosy tinged, or deep rose flowers. They are all wonderful. You won't want to miss the Paphinias in flower. 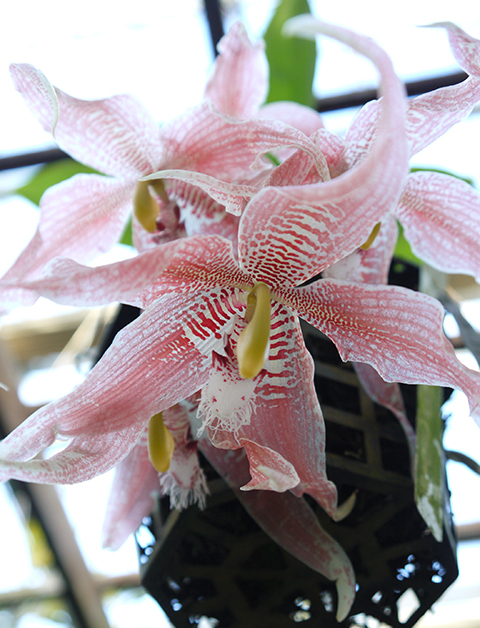 You can see them this fall from October through December in the Orchid Display House.